Fort Worth residential property management can be an emotionally difficult journey if the rental property is a place you once lived in and loved. 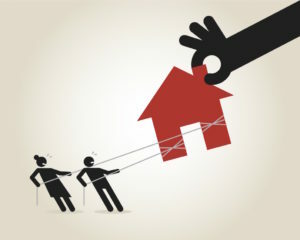 When tenants do not provide the same level of care as you would, the treatment of the home can quickly stir personal feelings that can lead to anger and damage the relationship between you and the tenant. Consider yourself a business owner rather than a homeowner. When you take the time to make this adjustment, you will be more successful with your venture and comfortable in your new business role. The rental home needs to be operated as a business even if you intend to move back into the home in the future. Accept that wear and tear to the property is normal even with careful tenants, and that the home’s interior will not look the same in a few years as it does today. Remember that when a tenant does not care for the landscaping as you would that it is not personal, just business. Enforce your lease agreement to ensure the tenant is living up to their end of the deal. The Right Fort Worth Residential Property Management Company Can Assist with the Transition. While it may be a difficult transition to go from homeowner to business owner, the change of mindset will help you make decisions objectively. The team at Specialized Property Management can also assist in the process by acting as a non-emotional point of contact for both parties, thus removing the stress and frustration that can come when dealing with difficult tenants. As your partner in property management, we will protect your legal rights and ensure the home is properly cared for.